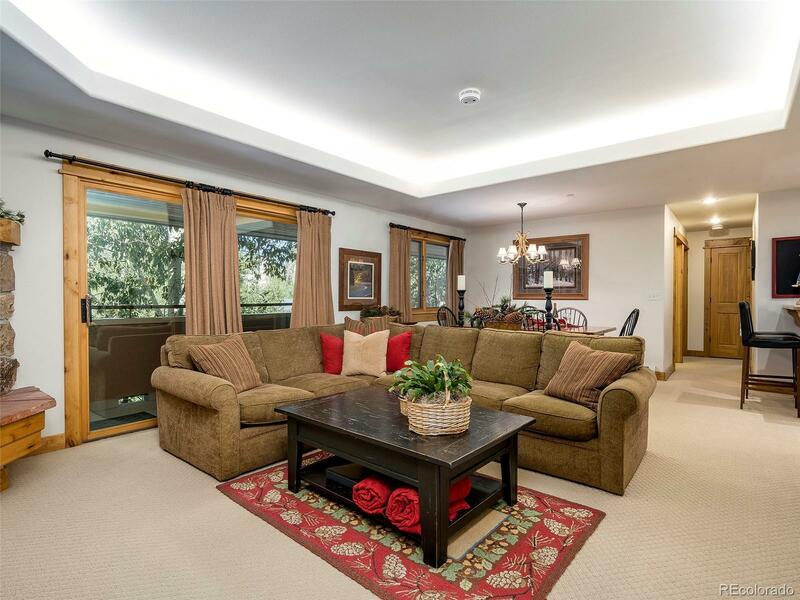 With one of the most private and serene locations in all of Canyon Creek, this magnificent 3 bedroom is stunning from start to finish. The original owners are selling this property with only limited nightly rental use over the years, meaning that itâs incredibly well maintained with little wear. This corner âSpring Creekâ floorplan includes two covered porches for great outdoor access throughout the year with both views of the valley and ski area through mature trees. Interior features include granite counters, tall ceilings, curtains for warmth & dÃ©cor, travertine tiled showers in the master suite, gas fireplace in the living area and a pleasant layout for cooking, dining and unwinding. The property lies just a block from the mountain resort base area but away from any noise or congestion. Full guest and owner services include an outdoor heated pool, hot tub, fitness room, on-site front desk, underground parking and heated walkways & driveway.